Exquisite and regal, this decorative box is designed by Indian artisan Arti Sharma. 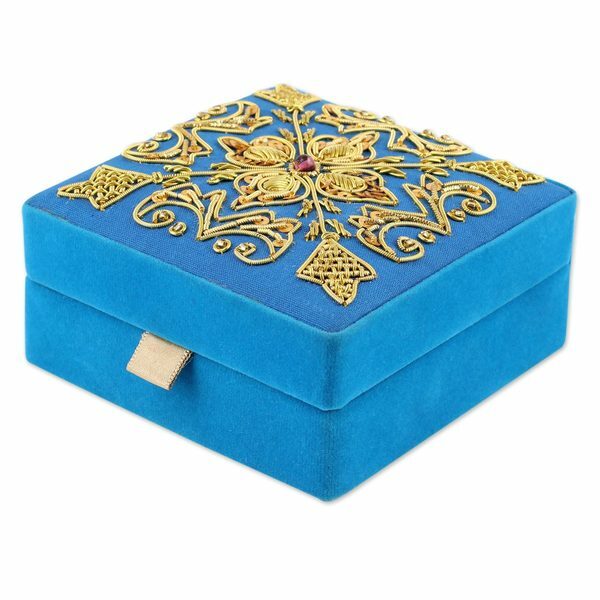 Bright blue cotton fabric covers the top of the wood box, while soft velvet surrounds the sides. Ornate zardozi embroidery on the lid creates a golden floral pattern with a wine-red glass bead at its center. The interior of the elegant square box is lined with yellow satin. "What are the dimensions of this box?"